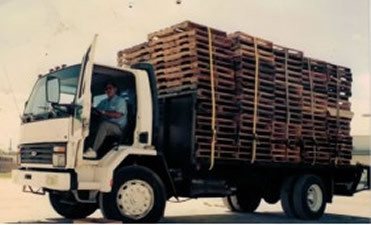 OVP Recycling and Pallet Services began in 1998, when current owner/operator Victor Pezzotti Sr. and his father, Orestino Pezzotti, decided to form their own company. With their previous experience in recycling and waste management, as well as customer service, they bought a twenty foot flatbed truck and forged ahead to make a name for themselves. Sixteen years later, Orestino is no longer with us, but Victor Sr. has carried on the mantle of the business along with his son, Victor Jr. OVP now operates with two tractors and four trailers, two of which are equipped with forklifts for self-loading. OVP continues to value the same things we have in the beginning – quality customer service and timely pickups with a personal touch. 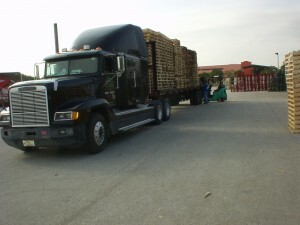 Here at OVP Recycling and Pallet Services, we strive to meet all of your recycling and transportation needs. Since 1998, we have been servicing Broward, the Palm Beaches, Miami-Dade counties, and the Treasure Coast. OVP Recycling and Pallet Services will provide solutions for all of your waste and recycling challenges, whether you own a commercial, industrial, manufacturing, professional or retail business. We will collect and process the following waste materials. We are a leader in our industry as we are able to design custom recycling programs for commercial and industrial businesses. Give us a call or contact us by completing the form on the Contact Us page and one of our consultants will schedule an apopitnment to help your business customize a recycling program. OVP Recycling and Pallet Services is a fully licensed and insured recycling company. We also possess a Miami-Dade General Hauler Permit which is required for the collection, removal and transport for hire or salvage in that county. We are a standing member of the Sunrise Chamber of Commerce and accredited with the Better Business Bureau. You can browse our website further, or if you have an inquiry, contact us directly at 954-572-7534.